Last updated by Hannah Nolan at August 21, 2015 . Eat less, exercise more. That’s the recipe for losing weight, and we all know it by heart. So if we want to get slimmer, and we know the formula, then why can’t we do it? Commitment is important — in fact, it’s essential — but it’s only the beginning. The key to successful dieting is bridging the gap between what you want to do and actually doing it. The desire is there; you just need a plan. When we make goals that are vague, like “I want to lose weight,” we set ourselves up to fail. Motivation happens when your brain detects a difference between where you are and where you want to be. When you are specific about your goal (I want to lose 10 pounds), that difference is clear, and your brain starts throwing resources (attention, memory, effort, willpower) at the problem. A clear target looks something like this: “I want to weigh 10 stone. I weigh 11 stone 7 now, so that’s a difference of a stone and a half (or 21 pounds if we want to break it down into smaller units).” Being specific gives you clarity because you’ve spelled out exactly what success looks like. That means more motivation — and better odds of success. This is why I always recommend that you set your weight loss goals to a max of 10% weight loss at a time. I hear too often, “My diet got ruined because my boss brought be out for lunch”. Really? Your boss didn’t force-feed you! Set yourself an ‘if-then’ plan and stick to it. To stay clear about that gap between where you want to go and where you are now, monitor your progress. Keep your food and exercise updated. Another thing: When you think about the progress you’ve made, stay focused on how far you have to go, rather than how far you’ve come. If you want to drop 20 pounds, and you’ve lost 5 so far, keep your thoughts on the 15 that remain. When we dwell too much on how much progress we’ve made, it’s easy to feel a premature sense of accomplishment and start to slack off. I often see members have great success in the first few weeks and then begin to become more relaxed with the food diary saying “I know what I’m doing now” – but the results starts to slow or stop or even weight gained. The key to consistent weight loss is consistently doing what works! If the first few weeks planning ahead, sticking rigidly to the diary for both your food and your exercise worked – then STICK TO IT 🙂 It is very easy for portion sizes and small “extra” bites of food to creep back in without you even realising it so honesty and consistency will get you to where you need to go! As much as we want to believe otherwise, losing weight isn’t easy. It turns out that it’s important to accept this. Believing you will succeed is key, but believing you will succeed easily is a recipe for FAILURE. One study I found illustrates this really well. The study showed several women, all obese, who enrolled in a weight-loss programme. Those who thought they could lose weight easily lost 24 pounds less than those who knew it would be hard. The successful dieters put in more effort, planned in advance how to deal with problems, and persisted when it became difficult. The capacity for self-control is like a muscle: It varies in strength from person to person and moment to moment. Just as your biceps can feel like jelly after a workout, your willpower “muscle” gets tired when you overtax it. To strengthen it, pick any activity that requires you to override an impulse (such as sitting up straight when your impulse is to slouch), and add that to your daily routine. And take baby steps. Instead of going junk-free overnight, begin by eliminating, say, those crisps you eat by the bag, and substitute them with a fruit or vegetable or swap it for something less in calories. Hang in there, and sticking to your diet will become easier because your capacity for self-control will grow. Everyone seems to be searching for the secret to losing weight. Is it low-carb or Paleo? Diet books continue to make the best-seller list, and diet supplements – such as the latest “miracle” pills, raspberry ketones and green coffee bean extract – are still flying off the shelves. Trouble is, none of these restrictive diets or fat-burning pills really work – at least, not for the long haul. It’s really about your habits. It’s about establishing a new routine, not buying a new product or finding the perfect ratio of protein to carbs. Long-term weight loss comes down to reducing total calories, not a specific combination of foods or a magic formula. It’s about adopting a series of new habits, and that’s why researchers continue to look at the behaviors of successful losers. One of the latest studies to look at the habits of women who successfully lost weight was recently published in the Journal of the Academy of Nutrition and Dietetics. Researchers from the Fred Hutchinson Cancer Research Center found that three habits made the biggest difference: entering what you eat and drink in a food diary, eating regular meals (no skipping), and cutting down on restaurant meals, especially lunch. • Women who kept food diaries consistently lost about 6 pounds more than those who did not. • Women who reported skipping meals lost almost 8 fewer pounds than women who did not. • Women who ate out for lunch at least weekly lost on average 5 fewer pounds than those who ate out less frequently. Eating at regular intervals was another habit that made a difference, and while the specific reasons why are not completely clear, the study showed that skipping meals or fasting might cause you to respond more favorably to high-calorie foods and therefore take in more calories overall. Skipping meals also seem to cluster together with other behaviours. For instance, the lack of time and effort spent on planning and preparing meals may lead a person to skip meals or eat out more often. When you eat out a lot – another factor in the study linked with less weight loss – you typically have less individual control over ingredients and cooking methods, as well as larger portion sizes. The strongest association was found with lunch, so this may give you even more motivation to brown bag it at work – a habit that will likely be good for your waistline and your wallet. • Eat breakfast regularly, often including whole grains and low-fat dairy products. • Track food intake and reduce portions, although not eliminating any specific foods. • Limit dining out to an average of three times a week. • Stay active, averaging an 30 mins / hour of exercise every day (mostly frequently walking). • Weigh yourself at least once a week but also making sure to keep track of your measurements. There is no such thing as one size fits all when it comes to diet plans, and it’s key to find one that fits your lifestyle. The best diet is one you can safely and realistically stick with for the long term, plain and simple. It should be flexible enough to fit into your real life and should encourage healthier eating by focusing on balance, variety, and moderation. I encourage my members to enjoy eating the foods they love every day, mindfully and in moderation. The best “diet” is not a diet at all. Forget about ‘dieting’ and instead, think about strategies to satisfy your hunger for fewer calories. Eating more fruits, vegetables, whole grains, and lean protein can help manage your appetite. Enjoy the food you like without having the worry about losing weight. Add exercise to your daily habits and make it part of your new lifestyle. 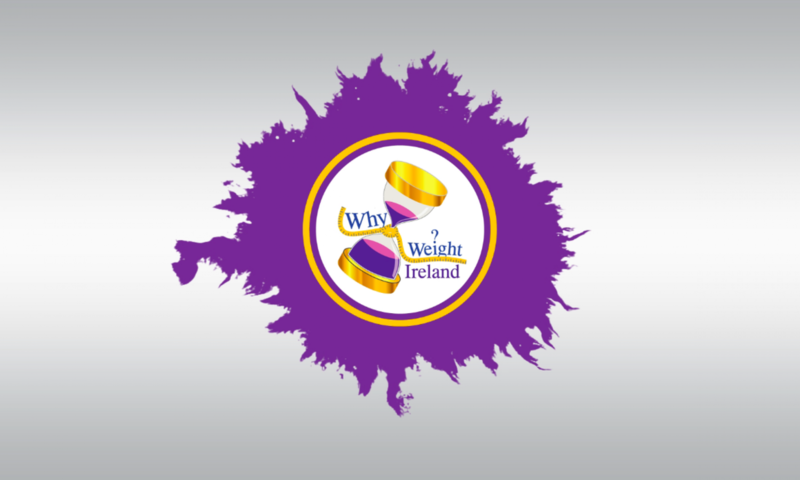 Use your Why Weight Ireland food & exercise diary to keep track of everything for you. Use the Food Swap tab to find all the alternatives and the hundreds of recipes to help make those better choices and help create those new habits. Take a 2 Day Free Trial today – Click the activate button below for your 2 days trial. Once your trial is complete you can visit our Prices & Signup page on our website and select one of our memberships to continue and receive the benefits of being a full member. You are under no obligation to signup and there is no prepayment required.